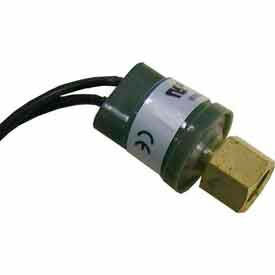 Supco Pressure Switches Are Used As Replacements And For Use In Fan Cycling And Other Pressure Applications. 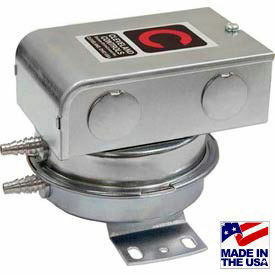 Supco Pressure Switches are commercial grade to provide long lasting durability. Replaces hundreds of small footprint air switches. Includes springs and orifice restrictors and hardware kit. Variety of types available.Tolerances are 5, 5 PSI, 10, 15 PSI and 15. Package quantity is 1. Open and Closed PSIs vary per type. Pressure Sensing Switches & Probes Are Used For HVAC Energy Management and DDC Applications. Pressure Sensing Switches & Probes kits have all hardware necessary to install and apply. Includes Individual Carton with Label Product Instruction Manual, Field Adjustable NS2-0000-01 Switch, Black Set Point Adjustment Screw, Hexagon Adjusting Wrench, Color-Coded Set Point Range Springs, Half Strap Mounting Bracket, Angle Mounting Bracket, Mounting Screw for Optional Brackets, #6 x 3/8" Air Switch Mounting Screws and Pairs of Color-Coded Orifices (Green, Gray, Red, Blue). SPDT contract arrangement or SPST manual reset. Connections are 2 or 3 Screw-type terminals with cupwashers, Standard quick-connect terminals or Male quick-connect terminals. Max operating temperatures are 0.5 and 1. TPI Low Voltage Relays Provide Smooth Operation. 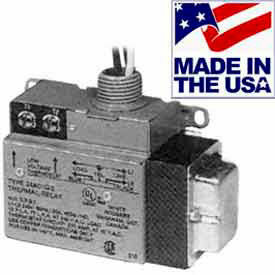 TPI Low Voltage Relays feature built in transformers for long lasting durability. Mount remotely or in the factory provided gray metal box. Available switches are Single or Double. Amps are 25 per switch. Temperature range of 50 to 90°. cULus approved. One year limited warranty. Specifications vary per model.